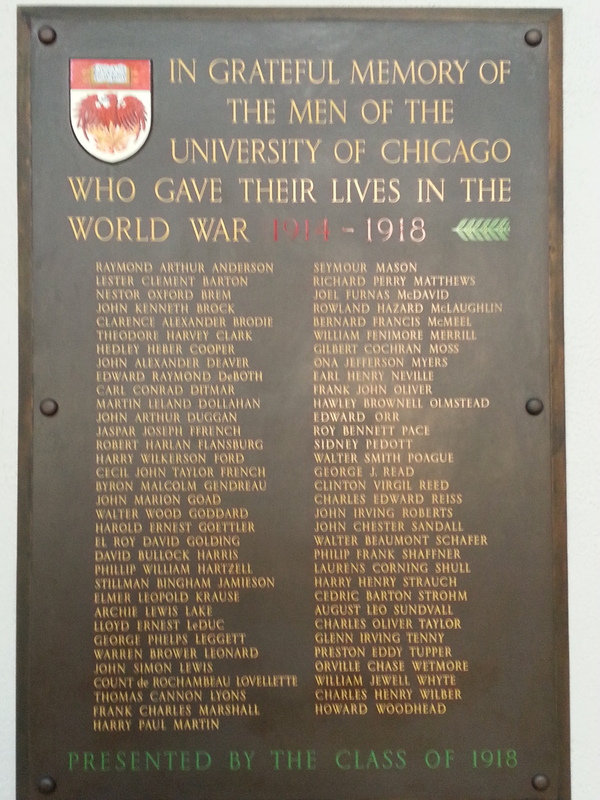 A plaque that commemorates the 67 men of the University of Chicago who lost their lives in World War I. 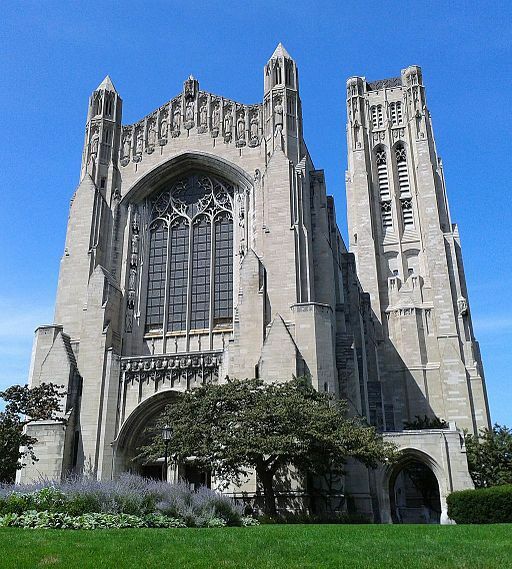 The plaque, located in Rockefeller Memorial Chapel, was dedicated on the twentieth anniversary of the Armistice, November 11, 1938. It was sponsored by the Class of 1918.